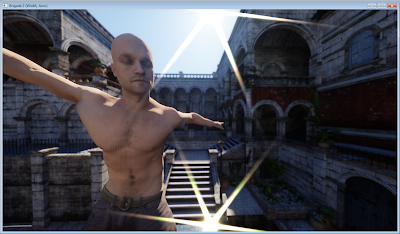 To celebrate Siggraph, here's a new video of Brigade for your enjoyment, showing an animated character mesh consisting of 125k dynamic triangles rendered in real-time at 35 fps with path tracing (the static background contains 600k triangles). 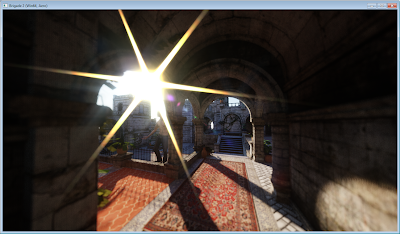 To give some background: one of the main reasons why ray tracing has not been considered a viable alternative for rasterization as a rendering technique for games is because ray tracing requires an acceleration structure to achieve real-time performance and dynamic scene support requires that acceleration structure to be rebuilt or updated every frame which has been a long standing and often revisited problem in the ray tracing research community. 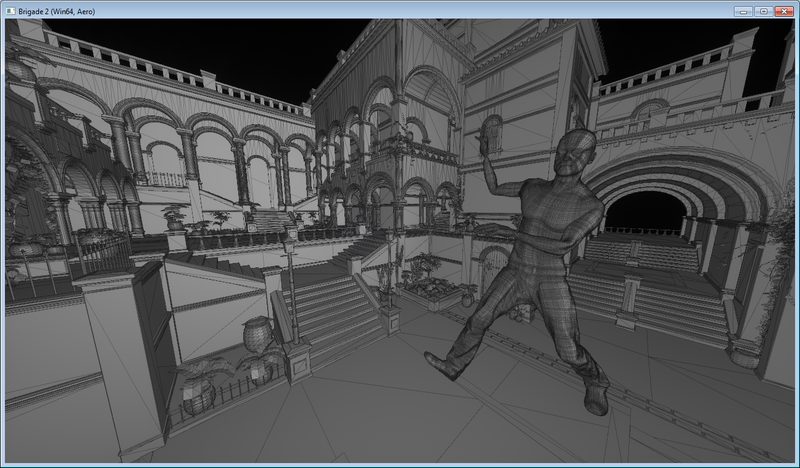 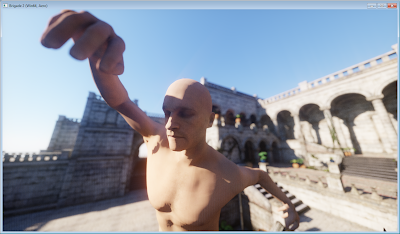 Until a few weeks ago, Brigade was capable of handling about 50k (non-instanced) dynamic triangles at 30 frames per second. 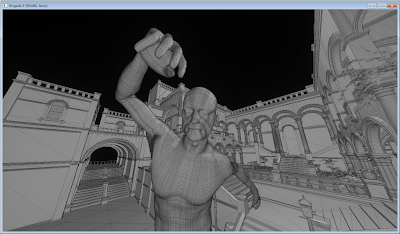 Recently however, the dynamic triangle budget was tripled and we can now do around 150k triangles at 30 frames per second (and this will soon increase further to a dazzling 1 milllion dynamic triangles at 30 fps), which allows for some extremely detailed deformable meshes like characters. 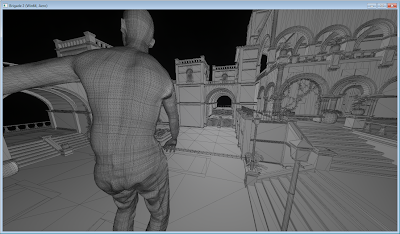 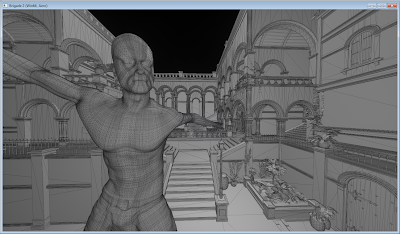 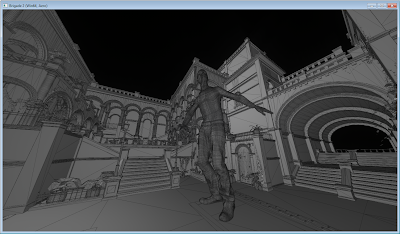 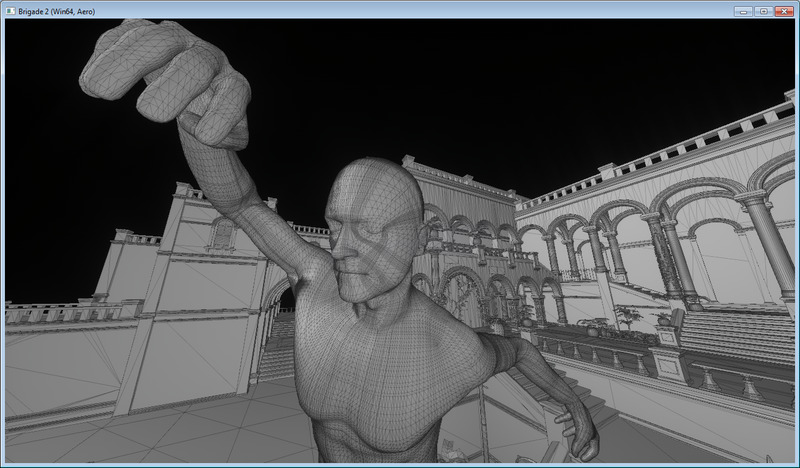 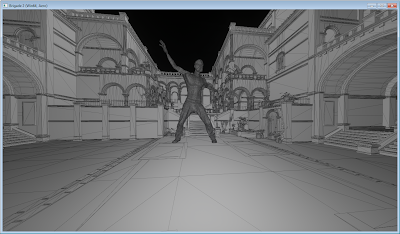 VFX houses doing previs of real-time motion captured characters will love this. UPDATE: Updated the post with a fresh batch of screenshots to show the extreme texture detail on the LightStage model. 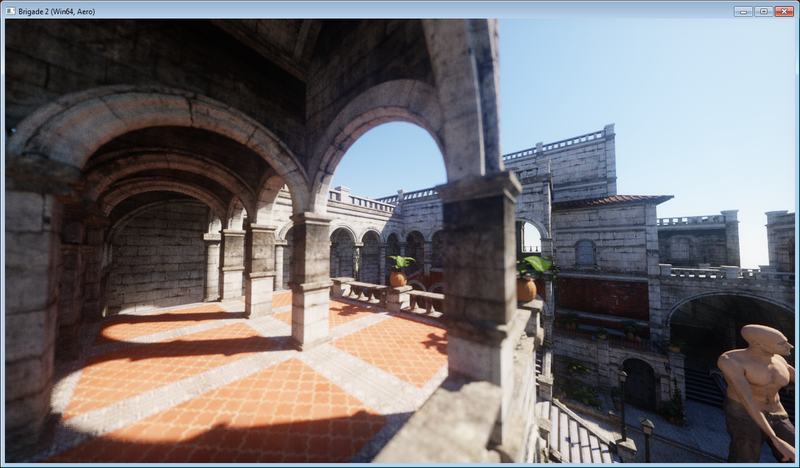 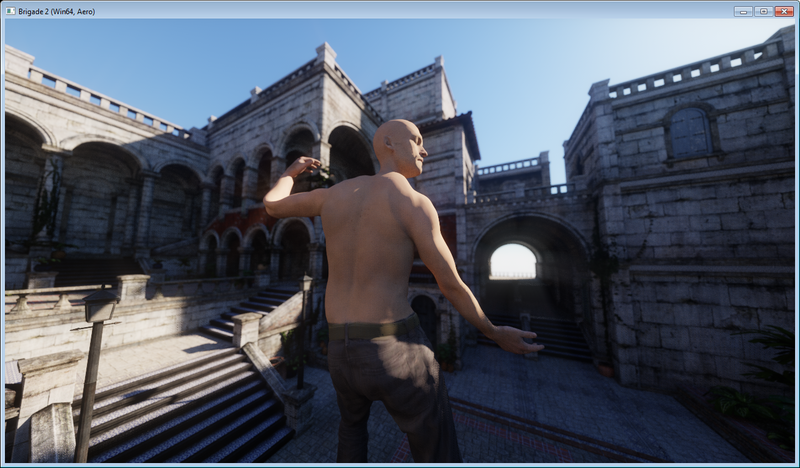 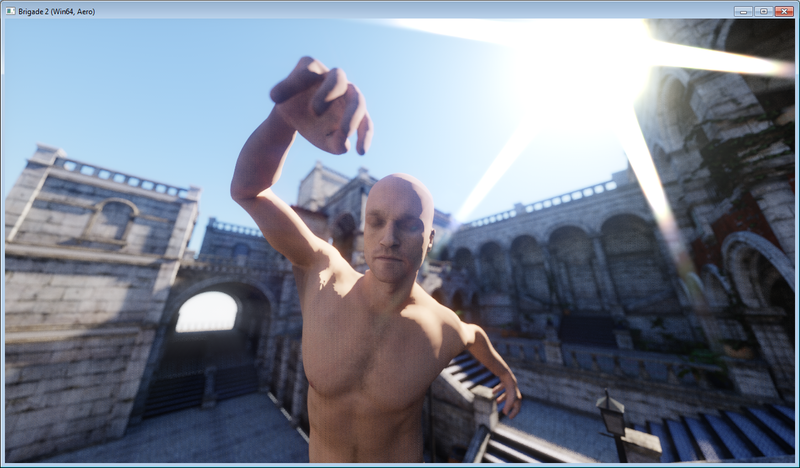 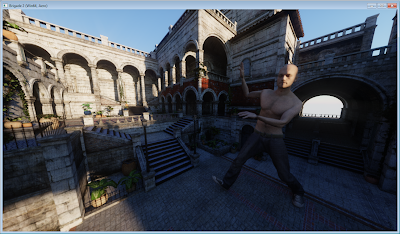 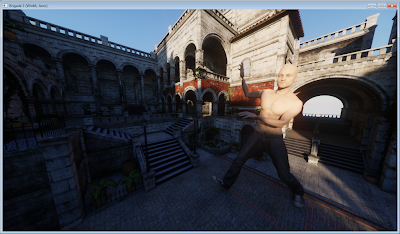 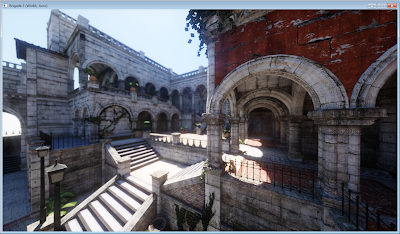 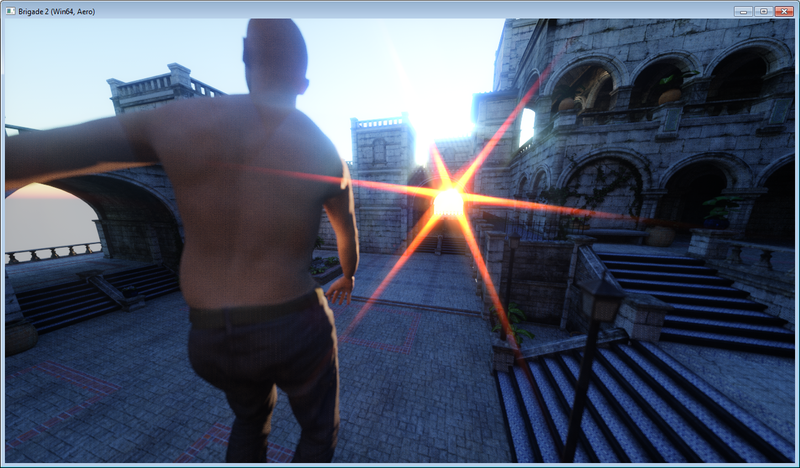 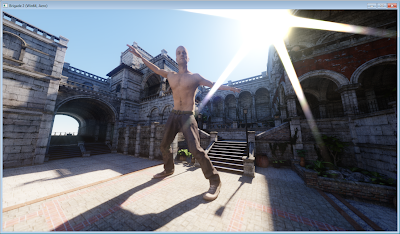 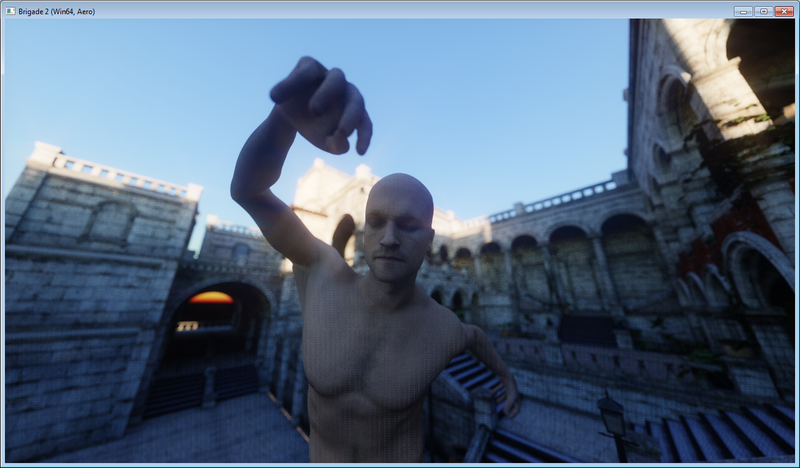 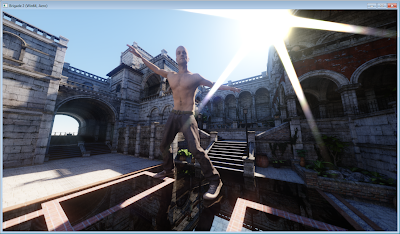 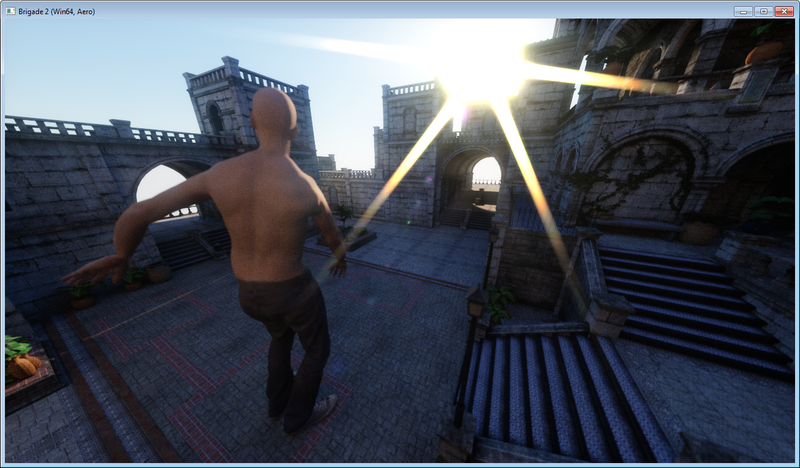 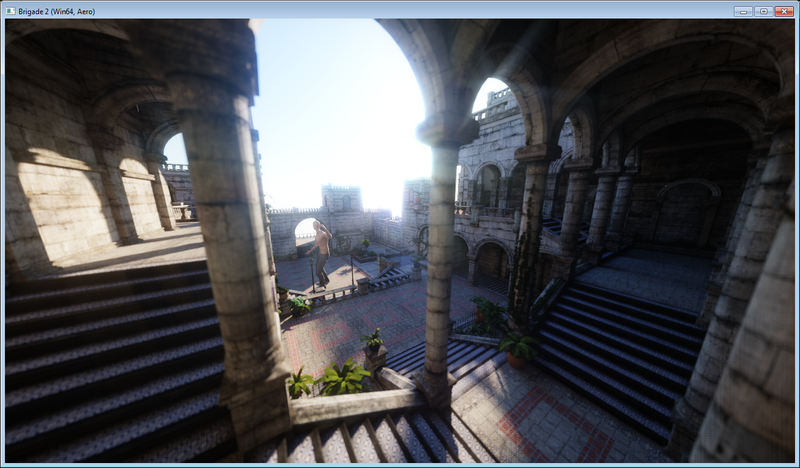 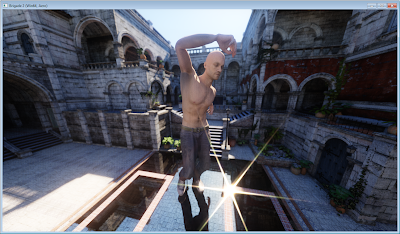 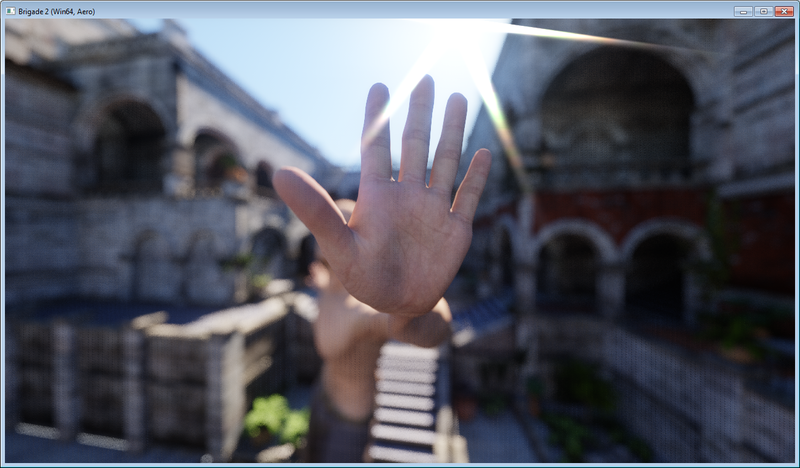 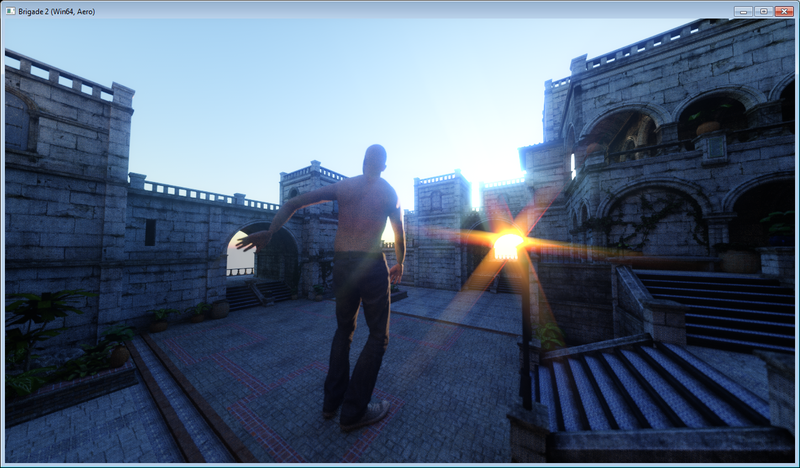 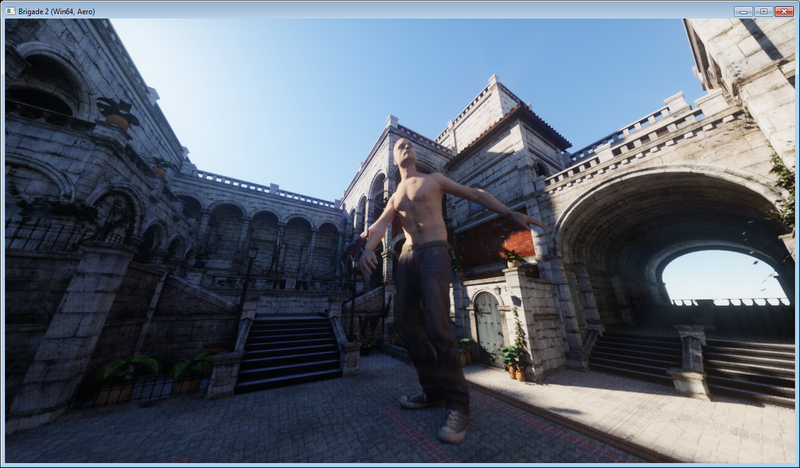 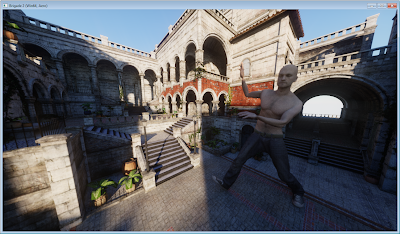 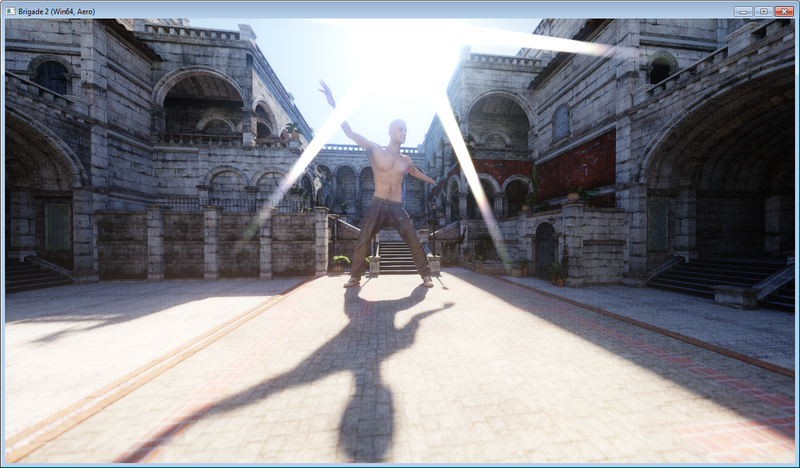 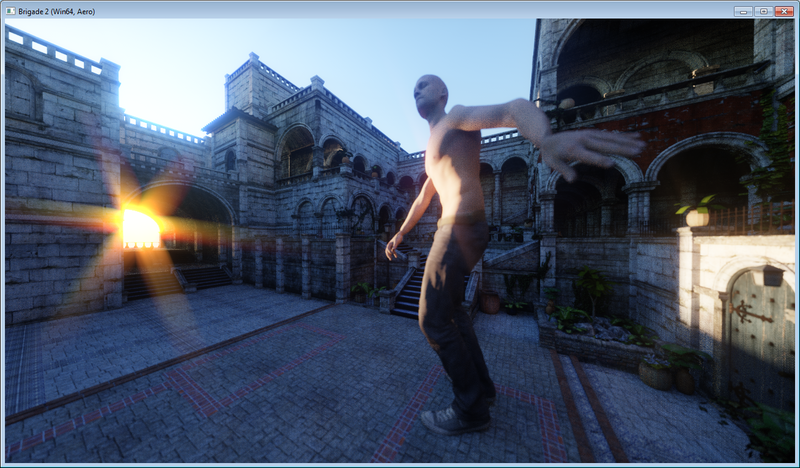 Btw, in case you haven't noticed yet, we dramatically improved the lighting quality and sky model in Brigade over the past months and it's now almost up to Octane standards. 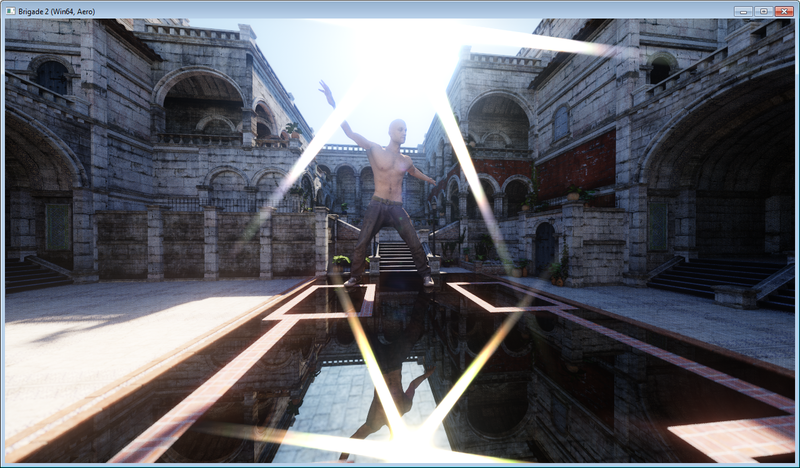 More tests to come soon.